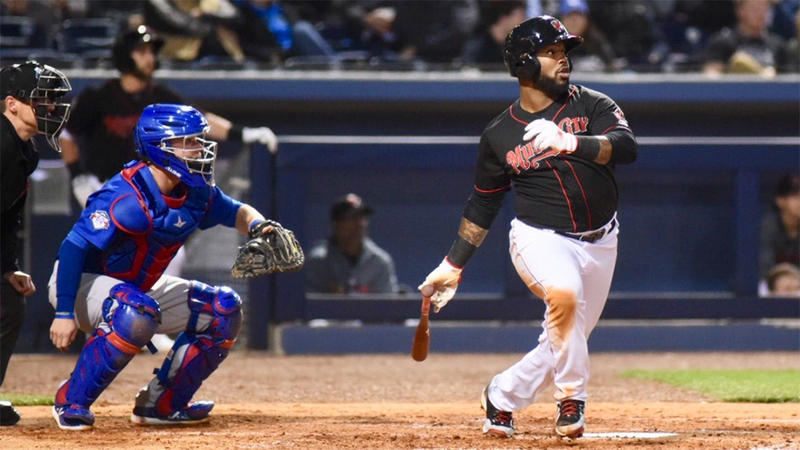 NASHVILLE, Tenn. – The Nashville Sounds shut out the Iowa Cubs for the second consecutive game and grabbed a 6-0 win in front of 5,252 fans at First Tennessee Park Wednesday night. Frankie Montas, Ryan Dull, Chris Bassitt and Lou Trivino combined on a five-hit shutout one night after four Nashville pitchers blanked Iowa in the home opener. Montas was impressive in his second start of the season as he faced the minimum over three frames. Dull, working in consecutive games, tossed a scoreless fourth before handing off to Bassitt who went four innings and racked up six strikeouts. Trivino worked a perfect ninth to lock in the win for the Sounds. The offense was steady and provided Montas with a 3-0 lead after one inning. Jorge Mateo, Renato Nunez and Beau Taylor had hits in the first inning. The Sounds had 14 on the night – the first time with over 10 since opening the season with 16 against New Orleans on April 5. BJ Boyd made it a 4-0 game in the fourth when he knocked in Slade Heathcott who started the inning with a double. Boyd went 3-for-4 and Heathcott went 2-for-4 with a pair of runs scored. The Sounds took advantage of sloppy defense by the I-Cubs in the sixth and extended the lead to 6-0. With Heathcott at second and Steve Lombardozzi at first, Boyd hit a bouncer in the hole between first and second. The ball trickled under the glove of Chris Gimenez at first base and went into right field. Heathcott scored easily and Lombardozzi trotted home as Iowa’s defense fell asleep at the wheel. The Sounds and Cubs conclude the three-game series Thursday night at First Tennessee Park. Right-hander Trevor Cahill (0-1, 2.25) starts for Nashville against left-hander Michael Roth (0-0, 0.00) for Iowa. First pitch is scheduled for 6:35 p.m. The Sounds improved their record to 3-4 with tonight’s 6-0 win. The two straight wins against Iowa is the first back-to-back wins of the season. Prior to tonight, the last time the Sounds posted back-to-back shutout wins was May 23 and 24 of 2017 in 10-0 and 4-0 wins against Omaha. Nashville tallied 14 hits tonight. It’s the first 10+ hit effort since the 16-hit barrage on April 5 at New Orleans. Nashville’s bullpen tossed 6.0 scoreless innings and has a 0.57 ERA on the season (31.2 IP/2 ER). Ryan Dull continued his MLB rehab assignment with a scoreless fourth inning. In three games, Dull has allowed one earned run in 4.0 innings. Renato Núñez’s single in the bottom of the first inning extended his hitting streak to a team-high five games. He’s hitting .350 (7-for-20) during the streak. Nashville’s Nick Martini swiped second base in the third inning. It’s the seventh stolen base of the season for the Sounds who were tied for third-most in the PCL entering tonight’s game. The 2018 season is the Sounds’ 41st in franchise history and fourth as the Oakland Athletics’ top affiliate. Single-game tickets are available now by calling (615) 690-4487 or by visiting www.nashvillesounds.com.